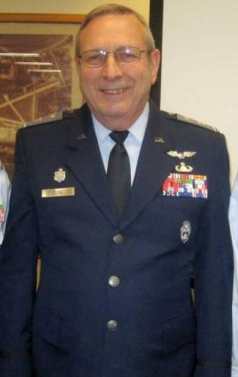 On 8 May 2012, Capt David A. Littlefield of the Florida Wing appealed his removal from command of Group 4 alleging the removal was motivated by retaliation. The Florida Wing Commander, Col Michael N. Cook, removed then Maj Littlefield from command on 1 March 2012 for not following an order. He subsequently demoted then Maj Littlefield to the grade of Captain on 5 July 2012 for abuse of authority. At this time the demotion was added to the MARP appeal. After a review of the appeal materials, the MARP found that the removal from command was inappropriate and was based on what the MARP determined was the improper application of CAP regulations by the Florida Wing Commander, Col Michael Cook and Southeast Region Commander, Col Al Bedgood. The demotion action was also deemed to be inappropriate. On 13 December 2012, the MARP reinstated the grade of Major for David Littlefield. Since Group 4 was disbanded by the Florida Wing Commander, Col Michael Cook on 15 April 2012, Maj Littlefield could not be reinstated to his command position, but the MARP did order his records be amended to reflect that he remained in command of Group 4 through the date of its disbandment. Be the first to comment on "Florida Wing Disbands Group 4 in Reprisal"